Following the World Socialist Web Site(WSWS) publication of a bizzare pro-zionist article in 2002 opposing the boycott of Israel the site was hammered by critical letters. We reproduced a couple below - coincidently both written by Jews - they are real gems which are intsructional without need to reference to the original odious article, which reasoned that any "measure that targets Israeli citizens will reinforce the idea that the entire world is against the Jewish people" and may alienate the working class in Israel. Presumably they also opposed measures that targetted citizens of apartheid South Africa like the sports boycott and the equity performers boycott, not wishing to upset the white working class in South Africa? 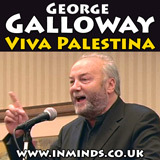 The daily shelling, bombing and demolishing of all vital infrastructure of the territories of Palestine occupied in 1967 raised, finally, a kind of reaction from some concerned and progressive academics in the western countries—people who managed to live peacefully with the gloomy facts of the racist and colonialist nature of the state of Israel—that shows itself by ideology and practice—not only in the 1967 occupied territories, but in all different aspects of life. The Israeli academy—which is, as the academy all over the world, a part of the state elite, and closely associated with the ruling classes—never manifested themselves as an opposition. The university institutions, and the academic organizations never raised their voices against the occupation, or even against the plight of schools and universities in the West Bank and Gaza during the first and the second Intifada. 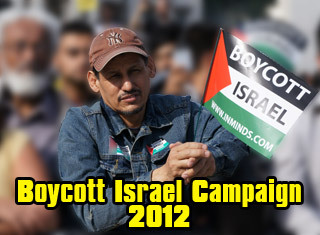 I am saddened to see WSWS take such an openly Zionist stance against the boycott. Where is the outrage at the censorship of Palestinian academics in America? You guys are Zionist hypocrites mascarading [sic] as socialists. Let me preface this by the statement that I am Jewish, speak Hebrew, had a Bar Mitzvah, was president of my university’s Hillel chapter, and have traveled extensively throughout Israel. Opposing a boycott because it might make the worthless Israeli left even more limp is the worst opportunistic argument you could make. Peace Now is a Zionist organization opposed to one-person, one-vote. Israel is not a legitimate nation by any Marxist definition; it is a colonial state pure and simple. Israel is so illegitimate that attaining the level of South African apartheid would be an advance from its present virulence. The bulk of its citizenry are very recent (since 1967) transplants from the US, UK, France and Russia; it enjoys no organic historical economic existence, its economic life is a completely fabricated result of US military and indirect aid. Its language is an artificial reconstruction of a long-dead one, the only benefit of which might be the easier learning of its cousin Semitic language—Arabic. All of its citizens are registered members of its armed forces; therefore they are all legitimate military, economic, cultural, academic targets in a civil war. Israel is a theocracy combined with a racist law of return which guarantees even me the right to displace others solely based on my Bar Mitzvah. Brilliant Marxist Jewish academics like Steven Rose should be saluted for their honesty and courage. Marxist Jews do not appreciate your Christian guilt complex for the Holocaust when translated into obsequious support of Israel. Israel is indeed a puppet of the US and UK, but it is a key pillar in global imperialism. Who is making history there, the Jewish left or the Arab masses? The Israeli left is a pro-apartheid left. Those Israelis who are willing to consider themselves to be Arabs and to fight for a unified Arab democratic republic have any right or hope of remaining in the state likely to result from the growing crisis. Professors who continue to be employed by the state of Israel should not be welcomed in any democratic university. If they don’t like it, if you don’t like it, then they should choose to resign one of their posts. At the very least, the fact that they are paid agents of the Israeli government should be clearly acknowledged so that their views can be put into the proper perspective. Once again, I repeat: Peace Now is a Zionist organization bent on institutionalizing Israeli apartheid. Your citing it in your editorial makes me want to vomit.